Why not beat the rush? So I am getting a snow thrower today, September 15, 2015. I will not wait until late October or November when the model I want is gone or on back-order and I have to take whatever pitiful model is still available. I will not wait until it is actually snowing, in which case I will not only have to take whatever pitiful model is available, I will have to find some way to get it to my house in a storm. Not gonna happen to me this time. Why don’t you do the same thing with your car? I know it was 90 plus degrees last week. I know we are likely to have a long beautiful fall. But the cold and bad weather is coming, and no amount of wishful thinking can stop it. 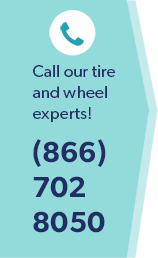 Do you know how many people call us for batteries the first time temperatures drop below 30 degrees and they sense their car barely starting, or worse, failing to start? And that first day we get a “wintery mix”? Everyone needs good wiper blades and something that actually melts ice on the windshield, unlike that “blue water” the quick lube place was using in August. Please take a number. And most of all, those tires you were really hoping to ride into the New Year. They are feeling really squirrely and there’s barely a light coating of snow on the road. Imagine if it really snowed? See the maintenance packages on our website. Like my snow thrower, it will be the best investment you ever made.